Colors: Please, select one Strawberry Pink Mint Green Blueberry Blue Vanilla Creme One of Each! Size represents one cupcake. Set comes with one of each (4 total). 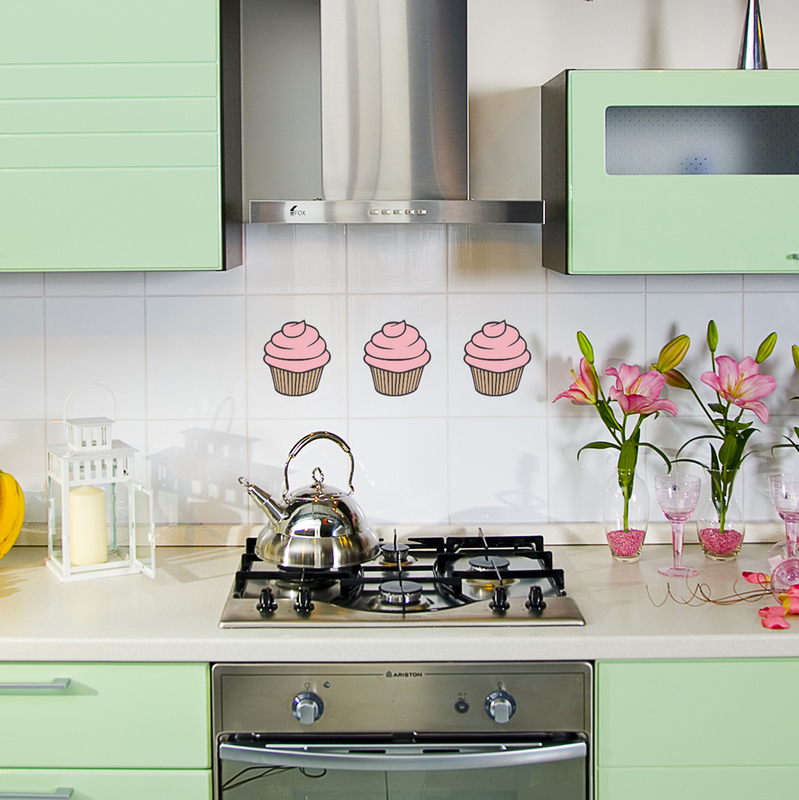 Add some sweetness to your walls with this multi colored set of cupcake wall decals. Each order includes a total of FOUR cupcakes. Order them all in one color or get crazy and get one of each. 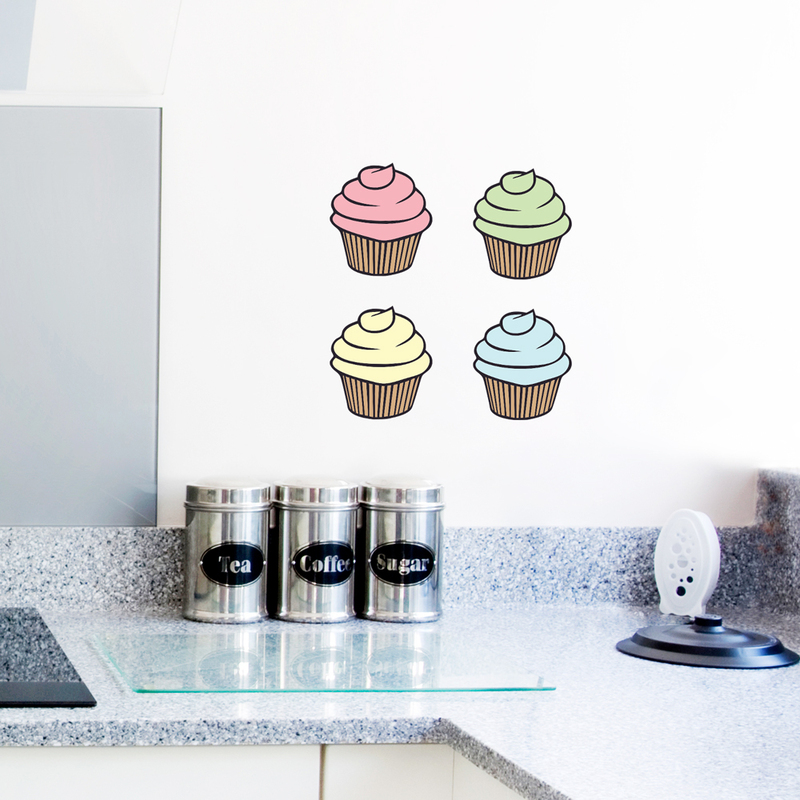 Or, order a few sets and create a delicious cupcake pattern across your walls! You also might like to know that these printed cupcake wall stickers are re-positionable!